Yankees outfielder Giancarlo Stanton went 4-for-9 with a double, a solo homer and three runs scored during Monday's doubleheader against the Orioles. Stanton has now notched multiple hits in his last three games after tallying a pair of hits in both contests Monday, including a homer in the first game (his 22nd) and a double in the second. Stanton has started July on fire by hitting safely in eight of nine games and slamming three home runs, looking more like the reigning NL MVP rather than the struggling superstar from earlier in the season. 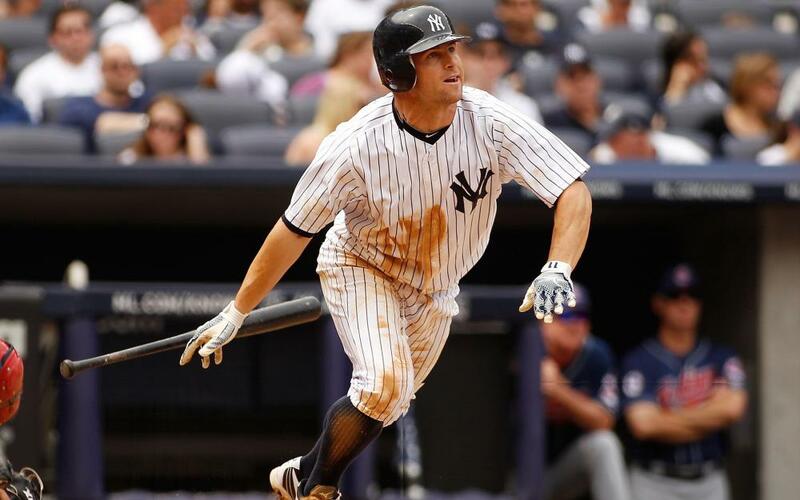 Yankees outfielder Brett Gardner went 4-for-7 with a double, a home run, three runs and three RBI in Monday's doubleheader against the Orioles. Gardner was retired in his lone appearance as a pinch-hitter in the first game, but Baltimore had no answer for him in the second game as he paced New York's 10-run, 17-hit attack from the leadoff spot. After going nearly a month without homering, Gardner has now gone deep twice in his past three games to raise his season total to seven. He also has multiple hits in three of his last four starts, raising his average to .260. Indians second baseman Jason Kipnis went 2-for-4 with a double and a two-run homer Monday vs. the Reds. After sitting out Sunday's series finale vs. the A's with hamstring tightness, Kipnis returned to the lineup with a bang Monday. The long ball was his eighth of the year, as he has continued supplying decent power totals despite his .220 average. He's been hurt by a .255 BABIP entering Monday -- well below his .309 career mark -- but age and years of nagging injuries may also be catching up to the 31-year-old after he slumped to a .705 OPS in 90 games last year. Optimistic fantasy owners could still extract value from him as a buy-low candidate, but they also must weigh the risk of him potentially being on the downside of his career. Red Sox slugger J.D. Martinez went 2-for-4 with a three-run homer Monday vs. the Rangers. Martinez continued to lay waste to American League pitching with his MLB-leading 28th home run of the year in the eighth inning, giving Boston some insurance in its 5-0 victory. He's now notched multiple hits in five straight games, raising his average to .331 while homering three times during that span. With his 77 RBI leading the Major Leagues as well, Martinez has emerged as a bona fide Triple Crown threat in Boston. Astros righty Gerrit Cole received a no-decision Monday after allowing three hits and three walks with 11 strikeouts in six shutout innings vs. the A's. Cole was back to his old self after struggling in his most recent outing, notching his first performance with double-digit strikeouts since May 4. Cole has cooled off since tallying at least 11 whiffs in five of his first seven starts, but he's still having an excellent season at 9-2 with a 2.57 ERA. He'll look to keep it going vs. the Tigers at home on July 14.